The for their innovative strength multi-awarded KNAUER Scientific Equipment GmbH also shows inventiveness and strength of implementation as SWOPS partner. Ceremony for the participants of the in-house SWOPS project group for their commitment to more opportunity fairness in the company. A special day in the house of the KNAUER Scientific Equipment GmbH in Berlin. 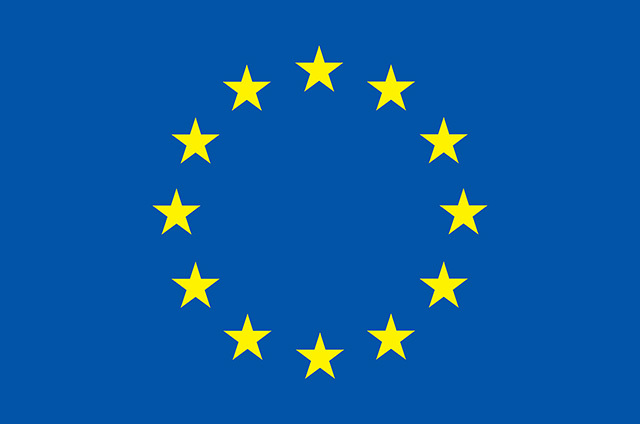 The privately held company is one of the four small and medium enterprises in Germany that benefit from the EU-funded restructuring project SWOPS and ist consultancy services for more opprtunity fairness. The participants of the KNAUER project group SWOPS now received an award for their commitment in favor of greater transparency and a well-functioning internal communication as important preconditions for more opportunity fairness in the company. The ceremonial handover of the certificates was the climax after the consultations over recent weeks and months. It was proven once more how fast professional support can carry fruit and bring about more positive changes in the company: especially in the workplace, it is good for everyone involved if communication is on an equal footing and all company members are participatory integrated into possible consultation processes. It should ideally be to develop a common theme in terms of corporate culture and not so much to coach only at the base. In this context it is important that also managers fulfill their responsibilities and face the challenges just as their employees. In the course of SWOPS, employees and managers alike had the opportunity to participate with their ideas and to shape corporate culture together. At KNAUER this now belongs to the company everyday. Already three times, the family run enterprise was awarded “the most innovative company in the SME sector” – recently they won the Berlin Brandenburg Innovation Award 2013, which is awarded to the most promising product innovations. As a clear advantage for KNAUER proved that SWOPS was declared a top level thing: The sole managing director of the company, Alexandra Knauer, put together a project group that was responsible for coordination and implemention of the main project activities – at the same time also addressing the other employees in the company. They were also involved in the activities of the project team, either because they brought with them particular expertise to individual circumstances or because they could be recruited for the implementation of the project results. A good internal communication and the greatest possible degree of transparency in the company stood on the top of the wish list. The material and personnel prerequisites for this were rapidly added: Not only the managing director, also the personnel officer, the head of sales and the acting Quality Management Representative (QMR) participated immediately in the project. In this way, “functional communication” was ensured, which extended into several committees and departments,. The substantive conditions included the establishment of a project logbook, in which the project participants collected all important steps. Protocols and specifications have been meticulously recorded therein and were gradually communicated inside the company since the project start. Noteworthy was the demand from corporate boss that all project meetings should be held with the utmost transparency. Effective immediately, all meetings were held exclusively in the glass meeting room – called ‚fish tank’ by the employees. Many employees came by during the project, pursued the activities by prying eyes and were often invited to participate. The task of the personnel officer was to inform about the current project status during the upcoming staff meeting. Even as new competency profiles for a number of employees were developed, the implementation of the first derived measures could begin. The adopted project completion “process landscape Personnel Management” is now visible to all and integrated in the quality management system at KNAUER. Even from the consultant’s point of view was the SWOPS project successful and result-oriented. Based on an initial needs assessment practically relevant results could be developed and in part already be implemented. The individual processes in human resources management, a particularly sensitive area, are often underestimated in its complexity and not properly organized. Sometimes it falls short on substantive basic understanding of adequate process controls or the appropriate resource deployment. For this purpose, the process-oriented HR management according to DIN EN ISO 9001: 2015 offers a good working platform for improvement. At KNAUER, three things have proven to be particularly useful: the widest possible choice in various forms of work, the consistent visualization and illustration of the project results as well as working with the project log. At the conclusion meeting after the summer break, all project participants and interested parties came together. There was the joint decision to develop a short transfer target position on the SWOPS project results with the aim to convert this into a transfer review in the form of a workshop. On the same day, the certificates should be presented. Exactly that transfer review at KNAUER proved to be very productive. 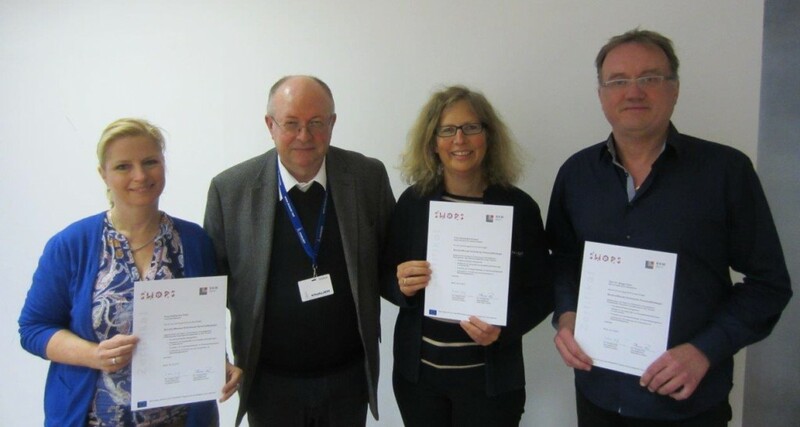 During the transfer workshops on 2 December 2015, consultant Dr. Karsten Koitz handed the employees specially created certificates for their successful participation in the SWOPS project. Alexandra Knauer commented very positively on the practice effectiveness of SWOPS and was pleased with the further improved internal communications and even greater transparency within the company thanks to the joint effort: “In the project SWOPS, chemistry has really tuned in my view and contributed to well progressing. The highly experienced consultant Dr. Koitz succeeded quickly to establish a trust-based cooperation with specific rules for all. The collaboration was enjoyable for all who participated; everyone was able to see the benefits of the project for his or her own daily work. “We are delighted with the decision that there will be a continuation of SWOPS at KNAUER in spring 2016th“.